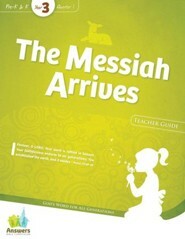 curriculum for all ages from preschool to adult from Answers in Genesis. The entire family studies the same main Scriptures and Bible points in the three year chronological program. It emphasizes equipping believers to defend their faith and stemming the skeptical disbelief children encounter in grade school. 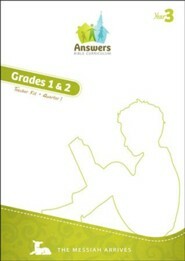 Answers Bible Curriculum supports creationism and uses the New King James Version (NKJV) Bible translation. Students will understand the Bible is a comprehensive history of God's relationship to people throughout time for the purpose of human redemption. This is taught through the 7 C's of History: Creation of the world, Corruption through sin, Catastrophe of Noah's flood, Confusion at the Tower of Babel, Christ coming & dying on the Cross, and looking forward to the Consummation of all things. 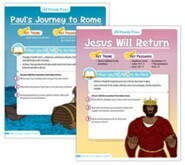 I'm the author/artist and I want to review Answers Bible Curriculum Year 3 Quarter 1 Preschool Teacher Kit.